Senior shooting guard Jamie Johnson drives up the floor against IU East in last season’s RSC Tournament Championship game. Johnson earned Second Team All-American honors after leading the Grenadiers with 19.9 points and 2.6 steals per game. Entering his 12th season as the head coach of the Grenadiers, Wiley Brown is looking to add to an already lengthy number of NAIA Division II National Championship Tournament appearances. The member of the 1980 national champion University of Louisville Cardinals men’s basketball team has built one of the region’s winningest basketball programs at IU Southeast, having seen a number of his players earn professional contracts across many levels of play. Some of which, including the Italian Serie A’s Jazzmar Ferguson, have lingering legacies that still inspire Brown’s roster on a yearly basis. “People that come in, guys that come in after them, they have to work hard because they still come back here today and our guys see how hard they work during their offseason, so they have take that into account,” Brown said. Amassing a total of 243 wins through 11 seasons, Brown has established a winning expectation in his program, all while using the limited resources available to piece together tournament-caliber teams. Now, the three-time Kentucky Intercollegiate Athletics Conference (KIAC) Coach of the Year faces one of his most difficult challenges in replacing his two key players from a year ago — Demetrius Stanton and Joe Jackson. Stanton, a 2016-17 NAIA Division II 3rd Team All-American, finished his career as a member of the school’s 250+ Assist Club. Jackson, who signed with the American Basketball Association’s Seattle Mountaineers in April 2018, ended his career as the Grenadier’s all-time leading rebounder with 778 rebounds. 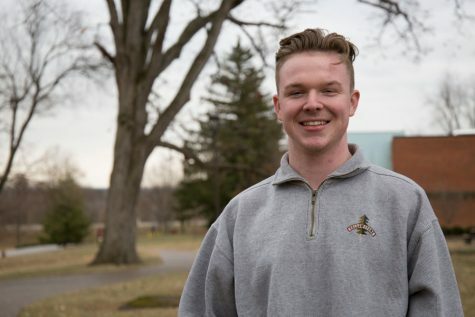 The loss of production from Stanton and Jackson deals a reasonably damaging blow to the Grenadier roster, though the return of senior shooting guard Jamie Johnson will prove useful to Brown and the Grenadiers. 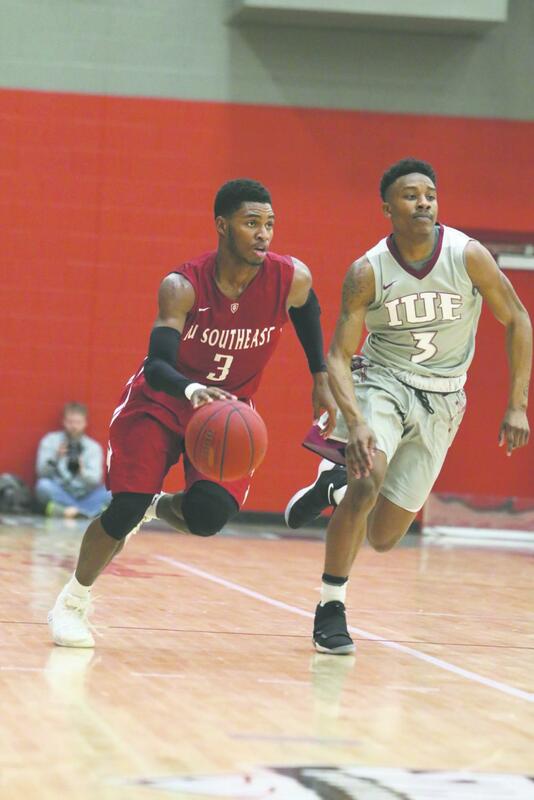 Johnson, a transfer from Kentucky Wesleyan University, earned himself NAIA Division II Second Team All-American honors after posting 19.9 points, 3.7 rebounds and 2.6 steals per game as a junior in last year’s campaign. Senior guard Nick Tinsley drives to the basket against IU East in last year’s RSC Tournament Championship game. Johnson, alongside Stanton and Jackson, helped lead the Grenadiers to a 24-9 record a year ago, winning 17 of 20 games from Dec. 12 through Feb. 27. “My confidence is sky-high and I look forward to the season approaching here soon and being the leader of this team,” Johnson said. Part of being a leader, Johnson says, is making sure his teammates reach the same level of intensity and play as he does on a nightly basis. “One thing I understand is that I’ll be nothing without my teammates, so everyday I try to put my confidence into my teammates offensively and defensively,” Johnson said. Aside from Johnson, Brown says he’ll rely on another upperclassmen transfer from Vincennes University, Kerry Smith. While both Jamie Johnson and Kerry Smith will be leading his squad, Brown says he will have a number of “young kids who are going to fill in”. The Grenadiers posted an undefeated record at home a season ago, winning all 14 games at the Activities Building. One of those wins was an impressive 74-66 over West Virginia Institute of Technology, a team the Grenadiers eventually knocked off in the River States Conference (RSC) Tournament when Golden Bears were ranked 25th in the nation. Aside from West Virginia Tech, the Grenadiers will face a deep RSC league with experienced teams such as Asbury University, who return all eight seniors to their roster. Cincinnati Christian University, who originally joined the KIAC before being renamed the RSC, has spent the previous several seasons building their program. Now, a year after posting a 13-17 record, Brown says the Eagles are posed to compete on a nightly basis. 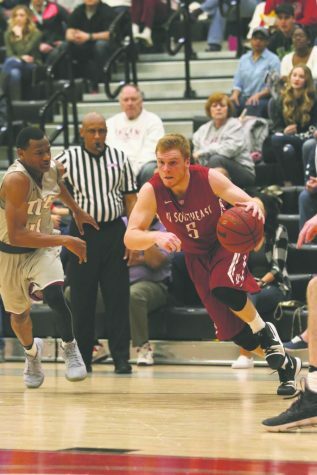 With a conference Brown labeled “really, really good,” the Grenadiers must maintain good health for an entire season if they want to return to the NAIA Division II National Championship Tournament. In the midst of last year’s deep run, the Grenadiers lost Johnson to a leg injury, sidelining him for the remainder of the postseason. Though the then-junior was unable to finish the season on the court, he says he does not need to use the injury as a means of motivation. The Grenadiers begin their season with a match-up with the University of the Cumberlands on Tuesday, Oct. 30, at 6 p.m.